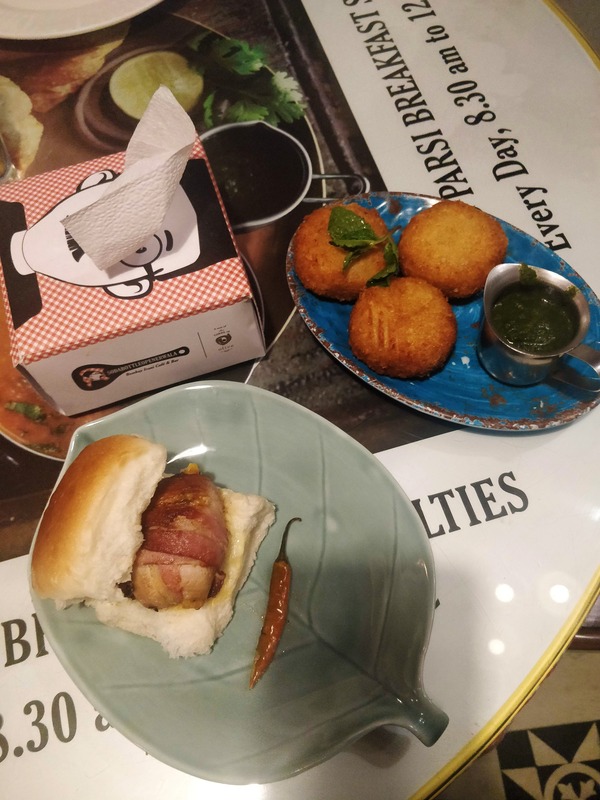 The place is very cute and the decor looked straight out of an Irani film set, I ordered their bacon vada Pao, loved that it was so fresh with an ultra soft Pao, next mutton potato cutlet and lastly their shrimp combo! For dessert I had the Parsi dairy kulfi, it was just amazing!! All the food was uber tasty, and I am sure to visit SodaBottleOpenerWala again!